If your son or daughter is facing a juvenile delinquency case in an Ohio court, there a range of options for resolving your child’s case favorably. Depending on the charge, the case against your son or daughter could be dismissed if it is handled properly. Discuss your son or daughter’s case with an experienced Columbus criminal attorney. Call Attorney Adam Burke at (614) 280-9122 for your free consultation today. In Ohio, young people may be charged with juvenile delinquency for a variety of offenses. Although these cases deal with crimes, they are considered civil rather than criminal proceedings. Most children and young people at some point break the law in one way or another. This could be a minor theft, a curfew violation, or underage consumption of alcohol. Generally, the court system recognizes that children and teenagers will have errors in judgment and often lack the capacity to the recognize the consequences of their actions. Because of this, the juvenile court system is focused primarily on behavioral modification and minimizing the young person’s contact with the court system. If your son or daughter has been charged with juvenile delinquency, it is important to hire an experienced attorney that will make every effort to avoid severe consequences. 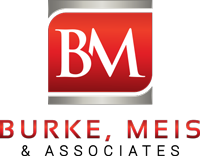 Contact Columbus Juvenile Delinquency Defense LawyerAttorney Adam Burke of Burke, Meis & Associates now for your free consultation at (614) 280-9122.